W hen it comes to financial debt, it has been observed that individuals take managing debt very lightly, till they are stuck in a never-ending cycle of repaying loans one after the other. And then, all of a sudden, instead of planning for a sound financial life, you end up worrying about clearing debt. If you have been in a similar situation, let 2016 be the year to usher in some much-needed changes. To start with, let's get this straight: cutting down on that extra money you spend on non-productive activities and using it towards paying off your debt is the basic rule of debt reduction. However, financial planners who counsel errant individual money managers reveal that the first step that leads to debt is inefficient management of the excess money left after paying off all the bills. Any extra cash left in an individual's account gets spent in unwanted luxury products, sometimes even those which are beyond his/ her reach. The irony is, often, this unnecessary splurging is by means of a credit card, thereby attracting liabilities. The following tips will help you steer clear of the debt trap. Most salaried individuals have multiple loans to be repaid simultaneously. These may be in the form of personal loan, home loan, car loan, education loan or credit card bill. In order to manage multiple loans, it is necessary to meticulously note down the amount to be repaid, the current EMI, current interest rate and, finally, the number of months left to pay off the loan. Do this for each and every loan that you have taken. And get to the next step. Debt is an indispensable vice at some point in one's lifetime. 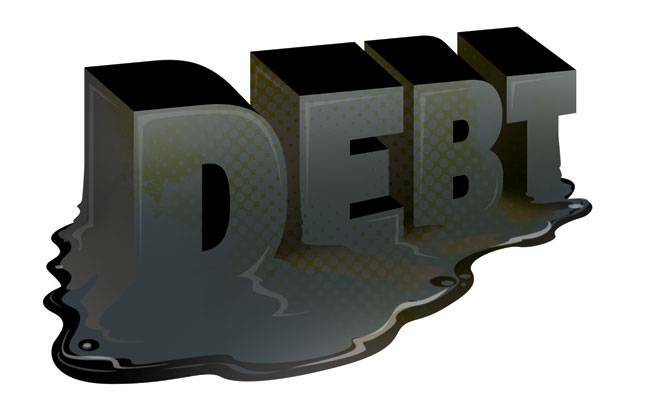 Debt can be classified either as a good debt or a bad debt. A good debt is when you take help of a lender (banks, financial institutions) to procure an asset like a house or an educational degree. Also, these loans offer tax deductions, which help build asset without taking a hit on the personal finance front. On the other hand, a bad debt is when money borrowed is used to buy a depreciating object. Suresh Sadagopan, Founder of Ladder7 Financial Advisories, says that it is essential to segregate debt as it will help prioritize which of them need to be dealt with first. "Typically, it is better to concentrate on clearing high interest bearing bad debt first. This will ensure that the monthly outgo tapers off after a few months, making room for surplus cash." This may seem like a painful proposition, but it works wonders over medium to long term. Opt instead to make cash payments. If you think you can't make cash payment, then you simply can't make that purchase. This is one of the easiest hacks to avoid splurging. The reason being, when you count the cash to settle the bill, you feel the pinch of that transaction on your pocket. As a result, if it is avoidable, you will avoid it. At the same time, if it were to be paid using a credit card, there would be no emotion attached to it; the lack of psychological check and balance will eventually push you deeper into the debt trap. Here's a word of advice from Archana Bhingarde of Prospero Financial Planning & Wealth Management: "The interest levied on credit card is very high. So, if possible, it will be prudent to go for a soft loan from friends or relatives and clear off the credit card debt as soon as possible. Also, loan from an insurance company at lower rate of interest is another option that one can consider." The underlying message is to use credit cards only in times of emergency. Learn to spend what you have and not what you will earn in future. There are unavoidable utility bills that need to be honored every 30 days. Classify items in your list under 'want' or 'need'. Everything listed under 'want' can wait and ones under 'need' must be taken care of first. Look out for ways by which you can cut out unnecessary spending. Basically, here, you are looking to change your spending habits. When in debt trouble, avoid making investments, no matter how lucrative they seem. Buying a new asset, such as real estate, means taking on further loans when you are already saddled with plenty. As Bhingarde notes, "In case of any loan repayment defaults, the credit rating of the individual is bound to take a hit. That would mean all the doors of raising credit getting shut for the future." The new purchase may push you off the debt repayment track that you had started on initially for the existing loan. This is bound to have a domino effect on your payoff plans, pushing you further into the debt trap. When in debt, the first option one can consider is opting for a financial planner. There are also debt counseling agencies which provide much-needed professional guidance. The two prominent names in this space are Disha Credit Counseling Agency, run by ICICI Bank, and Abhay Credit Counseling Agency. They minutely analyze a person's debt situation and provide options and advice on the same. It is observed that the head of the family bears the brunt of all the accumulated debt, while other members continue with their lifestyles. This is a flawed approach to dealing with debt. Communicate clearly with all members of the family, including dependents, on your debt status. Sadagopan says, "Any move to curtail expenses should be done collectively, as there will be certain sacrifices that will be called for." For example: skipping the yearly vacation towards payment of credit card dues or personal loan.